Texas is indeed a big place, and I’ve had a big time here for the past week. I arrived late Sunday night/Monday morning, October 21/22. The drive from Louisiana was extended near Houston when I-10 was inexplicably closed, and traffic was diverted to some unmarked and arbitrary artery. I had an interesting hour or so finding my way back to the highway – the GPS lady simply didn’t understand what was happening! 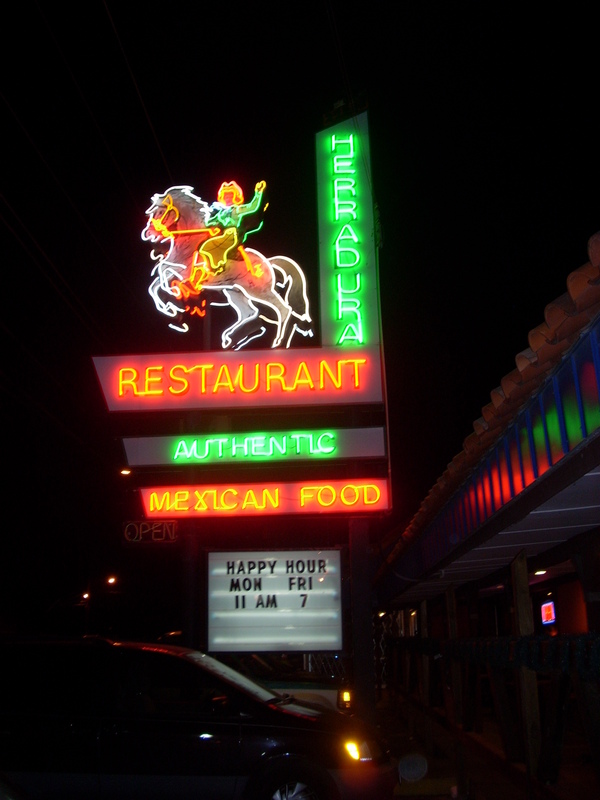 The only good part was discovering the coolest neon sign for a Mexican restaurant I have ever seen. I arrived at Tom and Elizabeth Pittman’s house about 12:30 a.m. – glad to be back in Austin! Monday was all about recuperation. That evening I met up with Ginny Hawker and Tracy Schwarz – friends from West Virginia – who were in Austin to see Tracy’s son Peter and family. Tracy and Peter played Cajun music at Evangeline’s Monday night, which made for a nice transition after my stay in Louisiana. 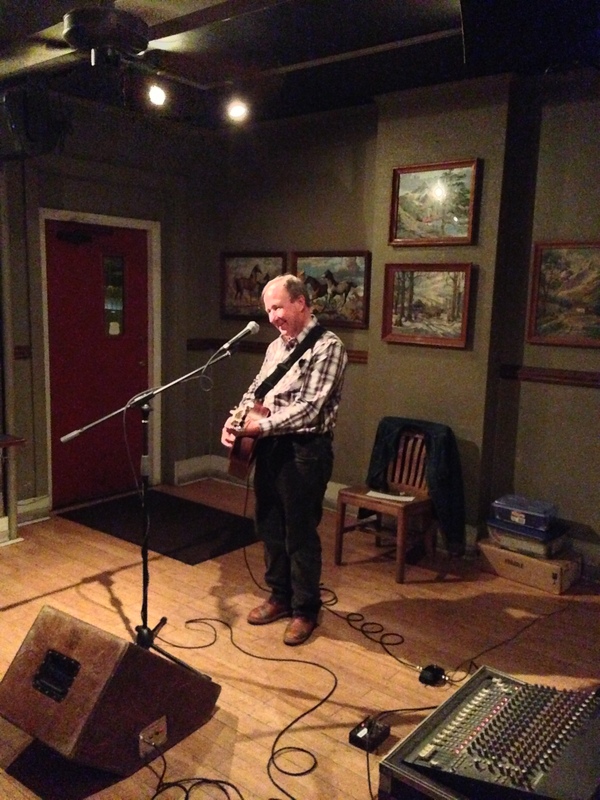 I played at Evangeline the following night, sharing the bill with the totally wonderful Brennen Leigh and Noel McKay. Everyone really enjoyed their set and their original songs. My set included several numbers with Brennen on mandolin and harmony vocals. What a treat! Wednesday was the busiest and best day of my week in Texas. I spent the afternoon rehearsing for the evening show at the Cactus Cafe, with Floyd Domino (piano), Joe Manuel (guitar), Beth Chrisman (fiddle) and Melissa Carper (bass). I don’t know about anyone else, but I enjoy rehearsing! Afterwards Floyd and Joe and I shared war stories. They have both had great careers playing with people including George Strait, Merle Haggard, Asleep at the Wheel, and others. I was honored to visit and share the stage with them! The show Wednesday evening was a highlight of the tour, also one of the most enjoyable nights I’ve ever had as a performer. The sound was perfect, the musicians were stellar, and I was grinning from ear to ear. The Carper Family played a fine opening set. 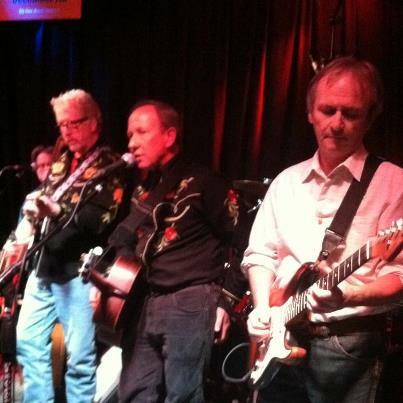 And it didn’t hurt to have my old buddy Bill Kirchen get up and join us for the last few songs. Thursday Elizabeth and I rode out to Marble Falls to see Elizabeth’s father, Dr. Ivan Shepherd. 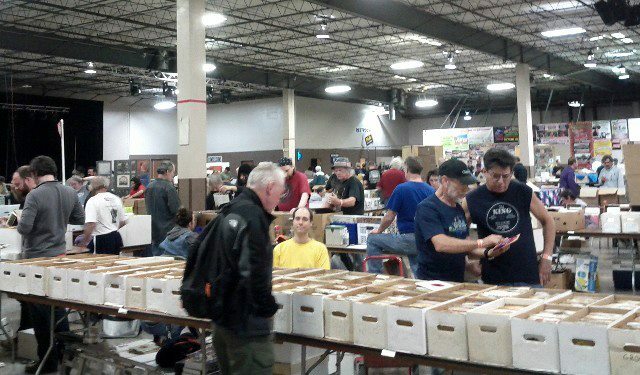 Friday afternoon I went to the huge Austin Record Show, where I found a super-rare Willie Nelson double-LP. Sweeeet! My Friday night house concert was at a beautiful home in northwest Austin, hosted by Daren Appelt. It was a glorious setting, and Daren was a terrific host. The people who came were a great audience, though I think we all wished there had been a few more folks in the house. Good show, nonetheless. 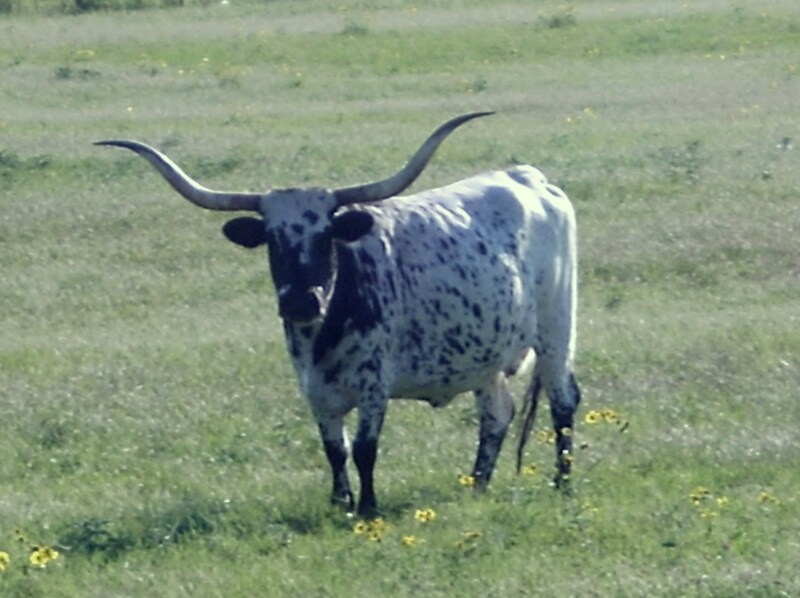 On Saturday, I took a day trip to the famous Luckenback, Texas. It was a fine fall day, and the drive was very scenic. Luckenback is a bit of a low-key tourist trap, but worth the trip. I decided I needed a cowboy hat. What do you think??? 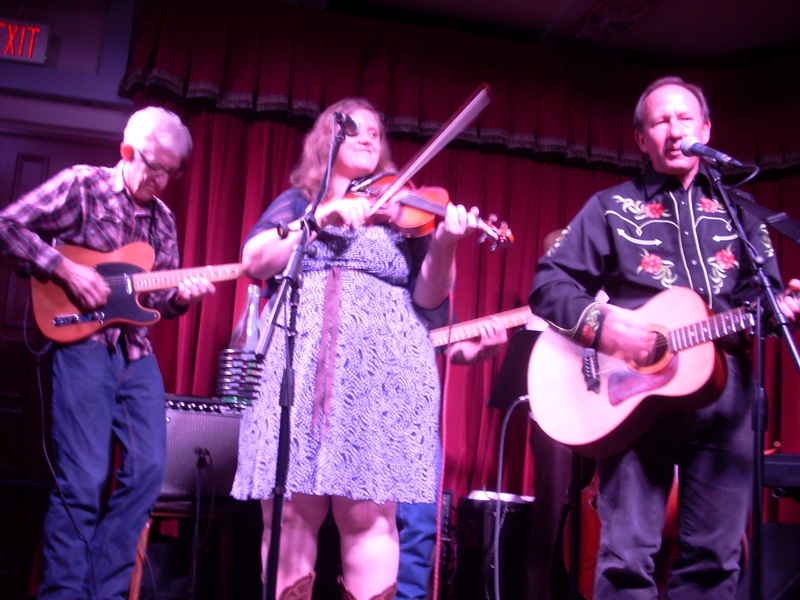 Saturday night I went to the Broken Spoke for a dance lesson, then went downtown to the Driskill Hotel, where I sat in with Floyd Domino and Rick McRae. This was a lot of fun! Sunday was busy, busy. I packed up from the Pittman home and drove to Dripping Springs, where my old friend Bill Paige and his wife, Claudia, hosted an outdoor house concert. Brennen and Noel played the opening set and sounded great! Then I drove back into Austin for our show at Threadgill’s. Once again, Brennen and Noel played an excellent opening set, and Brennen joined me for a few duets. 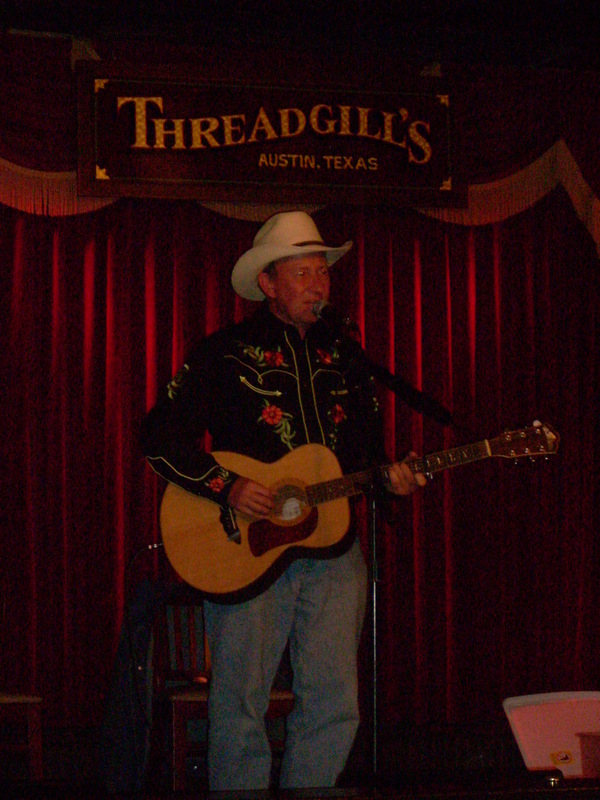 Threadgill’s video tapes and streams these shows, so we were on TV! I received a copy of the footage, so hopefully I can post a few clips to YouTube. Stay tuned! After the show, I went down to the Continental Club and sang a few songs with the band Heybale – some heavy hitters in that band, as well! 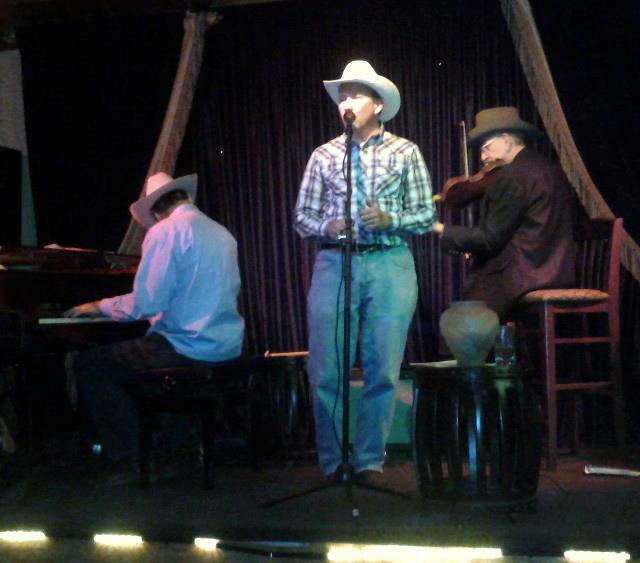 Nowhere else but in Austin can you find this much classic country music! I hated to leave, but Monday was a travel day. 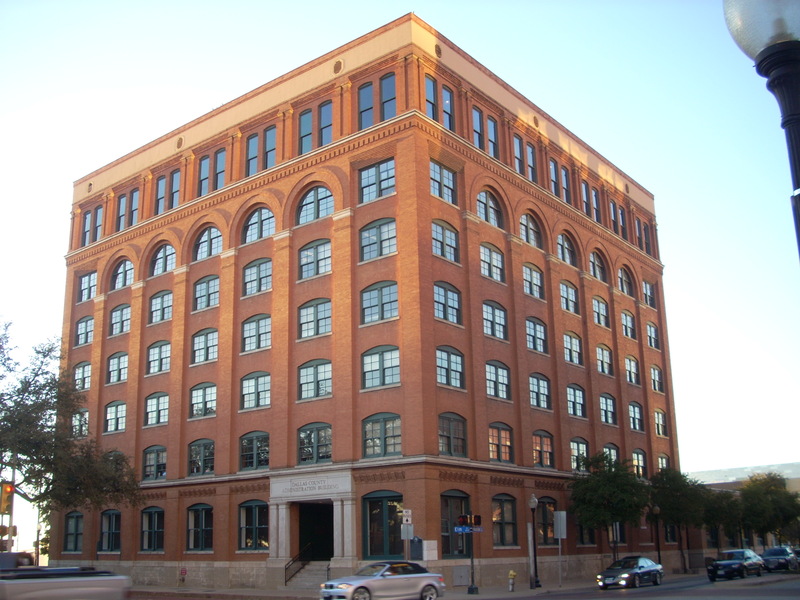 I drove to Dallas and spent a couple of hours at the Kennedy assassination museum at the former Texas Book Repository – the supposed vantage point of Lee Harvey Oswald and his “magic bullet.” It was fascinating, troubling, and deeply moving to see and walk around this horrible and hallowed place. 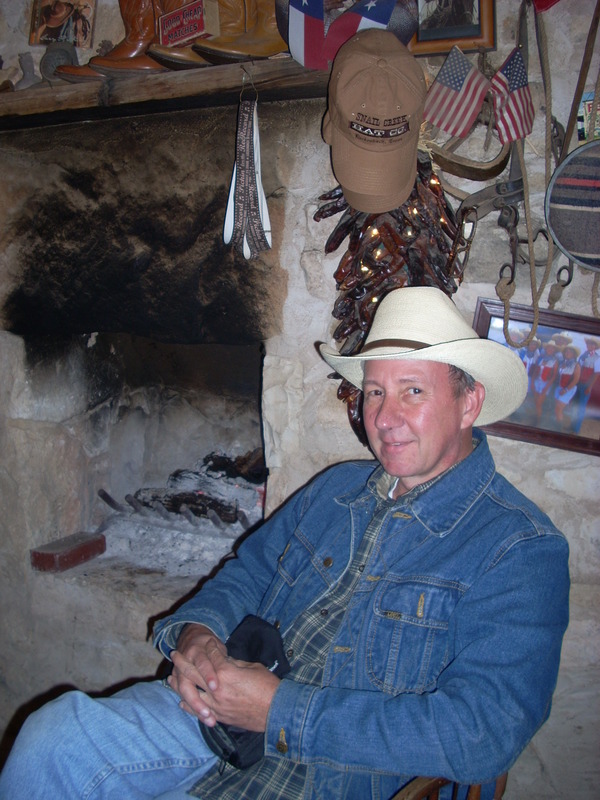 Someday I’ll come back to Texas – hopefully before too long – but tomorrow I start my homeward swing. First stop, Memphis! When they say “Let the good times roll” in Southwest Louisiana, they aren’t kidding! The music, food, dancing, storytelling and good-natured joking around are all distinctive and infectious. I felt fortunate to spend several days in Cajun Country, where I enjoyed generosity and hospitality at every turn. No wonder so many people are in love with this place! My first stop on Wednesday, October 17, was KRVS radio on the campus of the University of Louisiana-Lafayette. 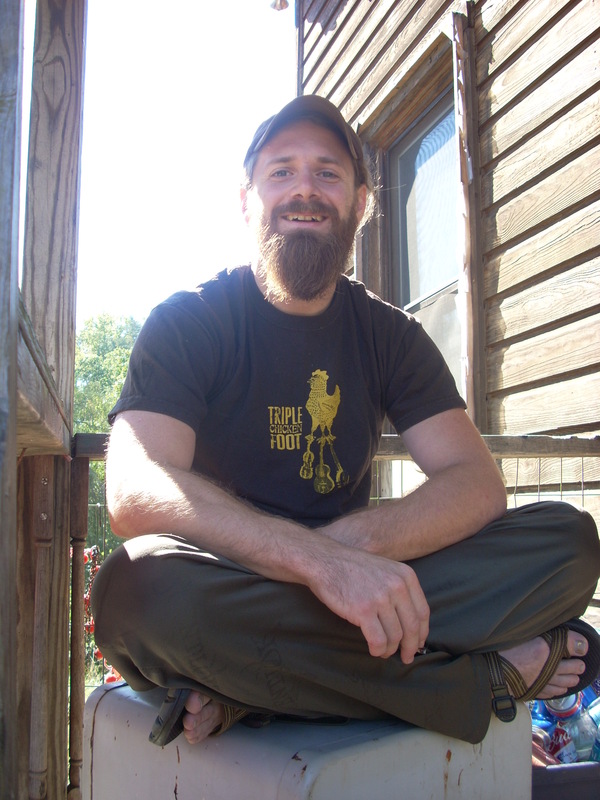 I was interviewed by Judith Merriweather about the Augusta workshops and about my tour. Virtually all of the people I know in Louisiana are folks I have met through Augusta, which led directly to my visit to Louisiana. 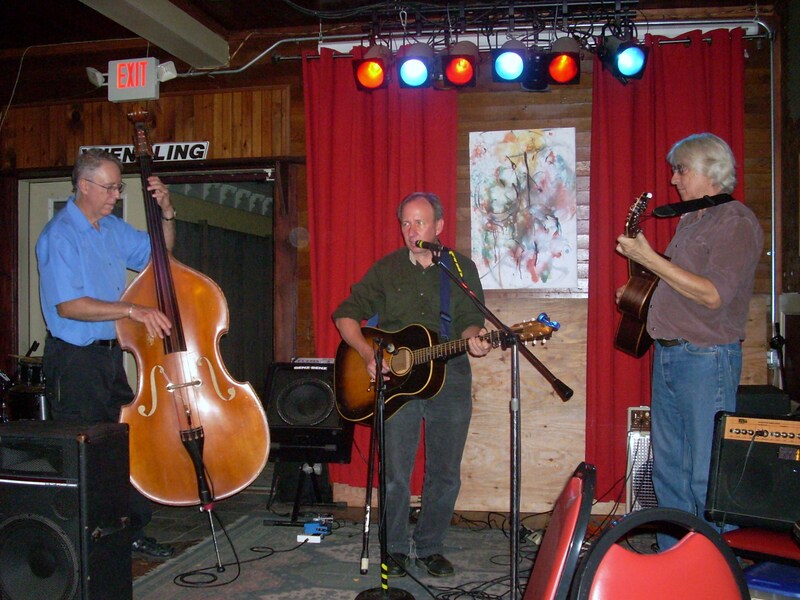 From Lafayette I drove a few miles to Breaux Bridge, where I played at Cafe des Amis – an excellent restaurant that features live music. It was good to play, though I was a bit tired from my long drive. People danced, however, which helped perk me up! I stayed with my friend Jim Phillips at his spectacular home outside of the town of Sunset. On Thursday I rested and got caught up on laundry and other sundry before going into town and hearing a set by my friend Yvette Landry and steel player Richard Como. 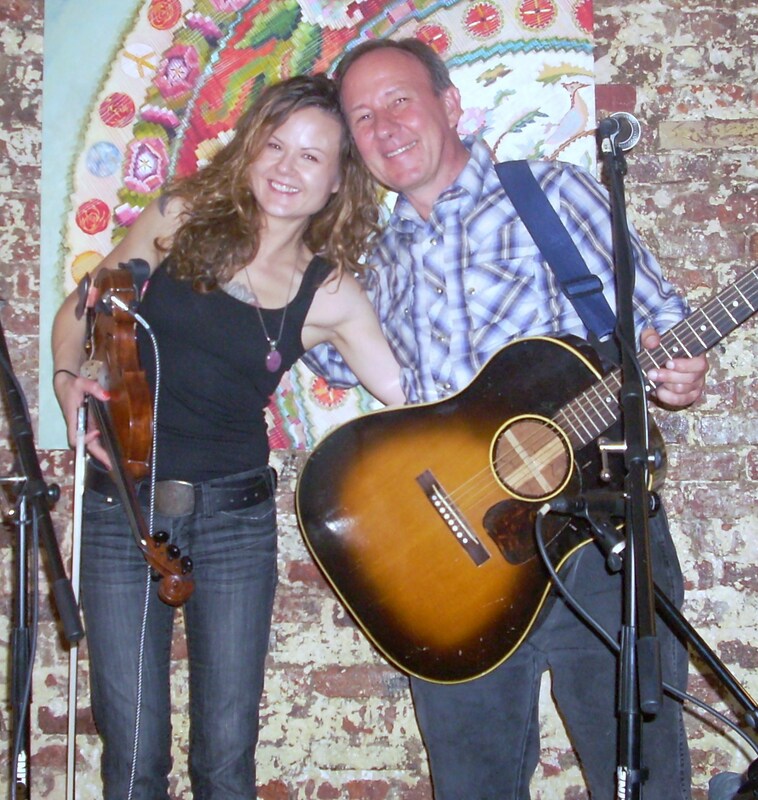 They played at a little pizza restaurant in Breaux Bridge and sounded excellent together – Yvette is a fine, fine singer, and Richard is off the charts with his steel playing. He played a solo on “Misery Loves Company” that was some of the best I’ve heard. I sang a few as well, including my song “Yvette, the Crawfish Queen.” I was especially pleased to sing it on this occasion because Yvette’s mother, who is mentioned in the song, was there in the audience that night. It was fun meeting her. After the gig, Yvette played me some rough mixes from her new CD. It sounds wonderful! Look out, world, here she comes!! 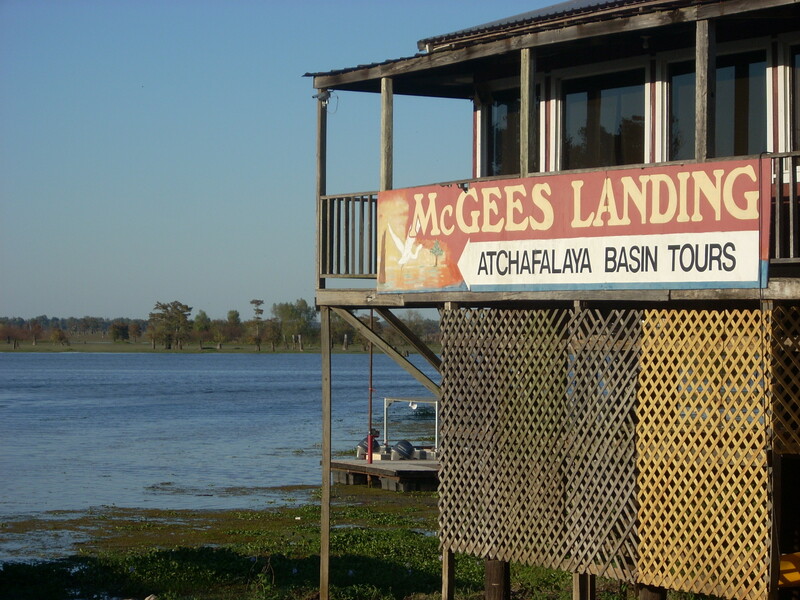 Friday I played at McGee’s Landing. Talk about a colorful place! The Landing is way out in the country, across the levee, on the edge of a huge swamp. I was really in the bayou now! I loved it! My music that night was in the bar, and several friends came out to hear me. I felt more rested and energetic than I had on Wednesday evening. I think it went well. Saturday was the most memorable day for me in Louisiana. Jim Phillips and I drove out early to Mamou and the famous Fred’s Lounge. 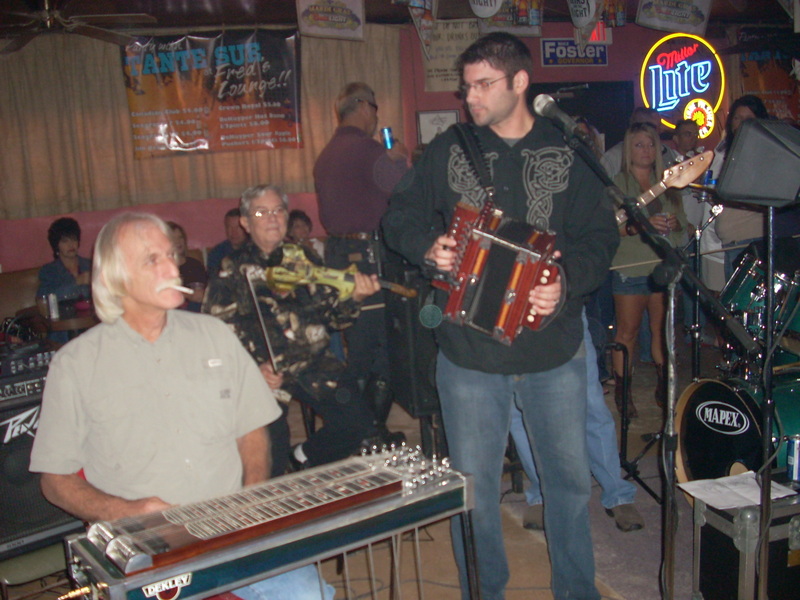 For 50 years, they have featured live Cajun music on Saturday mornings, from 9:15 a.m. until 1:30 p.m. What a scene! From Fred’s, Jim and I went to the weekly jam session at Mark Savoy’s music store, a gathering of very traditional musicians, mostly older, French-speaking (and singing!) individuals. There were two or three accordions, four or five fiddles, four or five acoustic guitars, and a woman playing the steel guitar. I felt honored to be welcomed to join in on guitar. Some of the people brought homemade sausage, called boudin. It was tasty! Here is a shot of Jim after the jam. 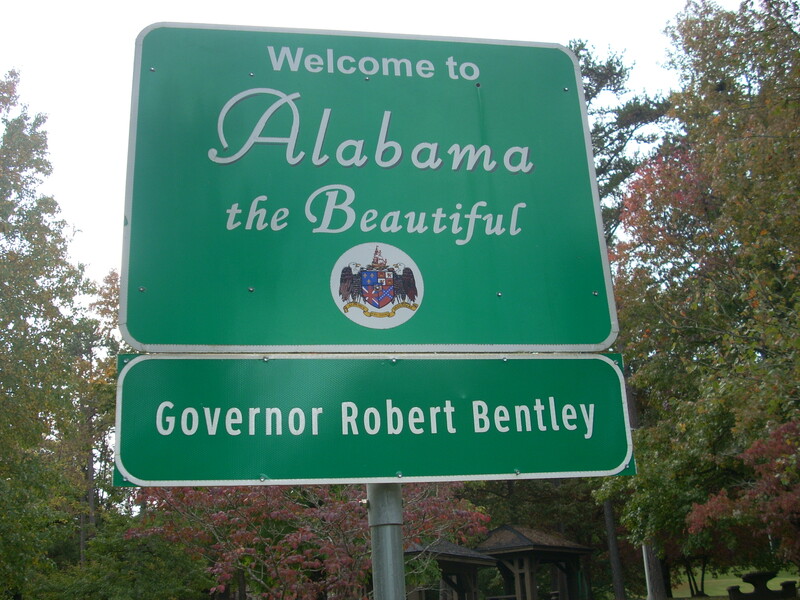 Following a short rest, Jim and I drove to Eunice for the show at the Liberty Theater on Saturday evening. The show is called “Rendez-vous des Cajuns,” and it features mainly very traditional Cajun bands from the area. The band that night was Cheryl Cormier (“The Queen of the Cajun Accordion”) and Cajun Country. I played about a half-hour in the middle. I was flattered to be so well accepted by this obviously educated, local and highly focused audience. The show was broadcast on the radio. 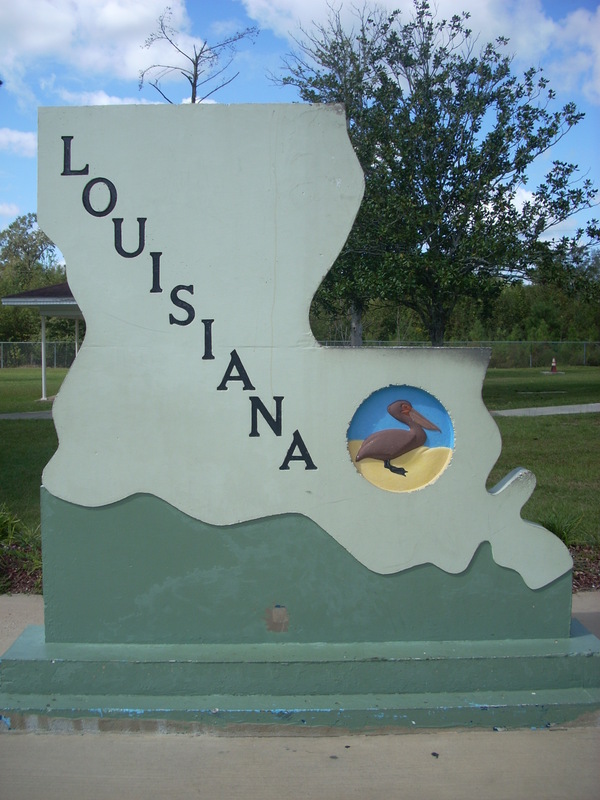 I am impressed with the pivotal role that radio – often live radio – plays in promoting the local French music in this part of Louisiana! 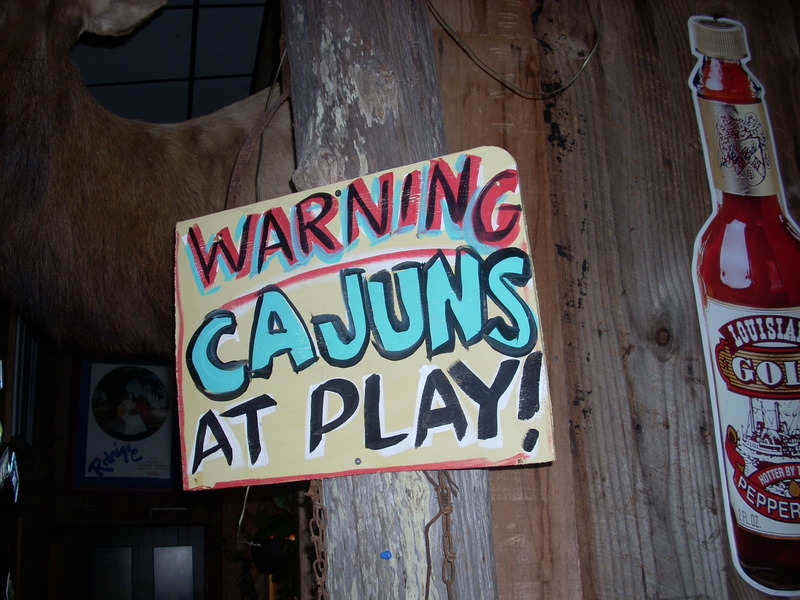 I was able to listen to great Cajun and Zydeco music whenever I was in the car (which was a lot!). 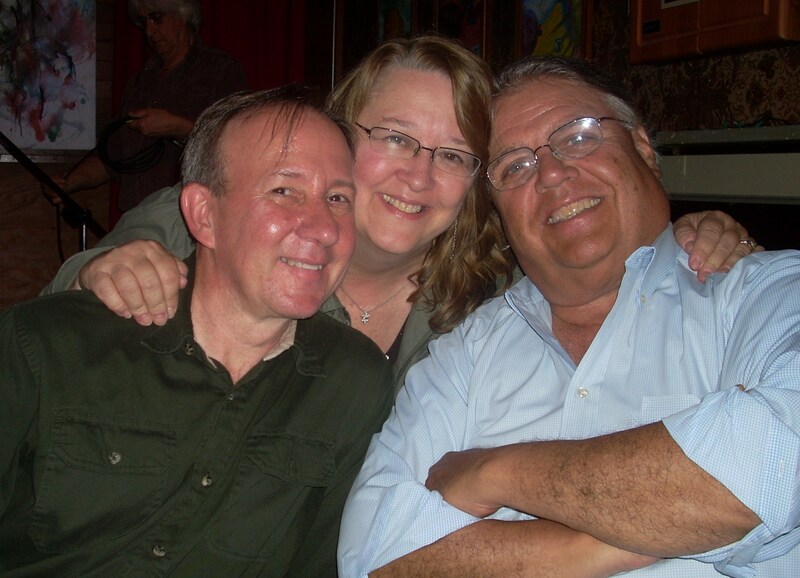 After the show at the Liberty Theater, I went out for more Cajun food and more Cajun music. A very Acadian day! 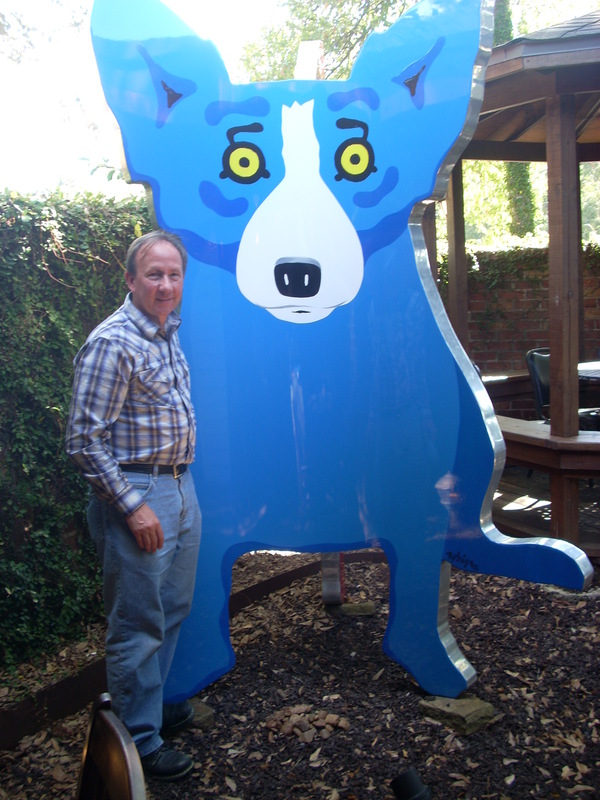 Sunday I played a brunch in Lafayette at a nice restaurant called the Blue Dog Cafe. It was fun, if a bit of a marathon – I played for three hours with only one 20-minute break. Whew! I was sorry to leave Louisiana, but it was time to go to Texas! Monday, October 15, until Wednesday afternoon, October 17, were spent glued to the steering wheel as I gobbled up nearly 1,500 miles en route to Louisiana. Leaving Ithaca, NY, on Monday morning, I faced rain and highway construction for the first half of the day. Near Roanoke, VA, I came across some stranded motorists. They needed help, and I needed a break. 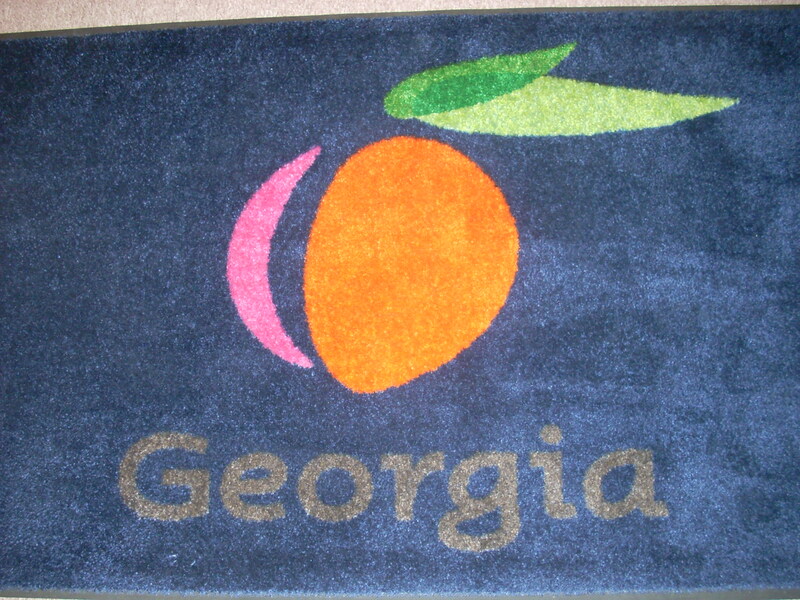 An hour or so later, I decided it was too late to get back on the road, so I stayed at a VERY funky motel in Roanoke. I got back on the road before 8 a.m. on Tuesday and burned about 750 miles. I was starting to fade when the presidential debate came on, which perked me up for the next 90 miles or so. 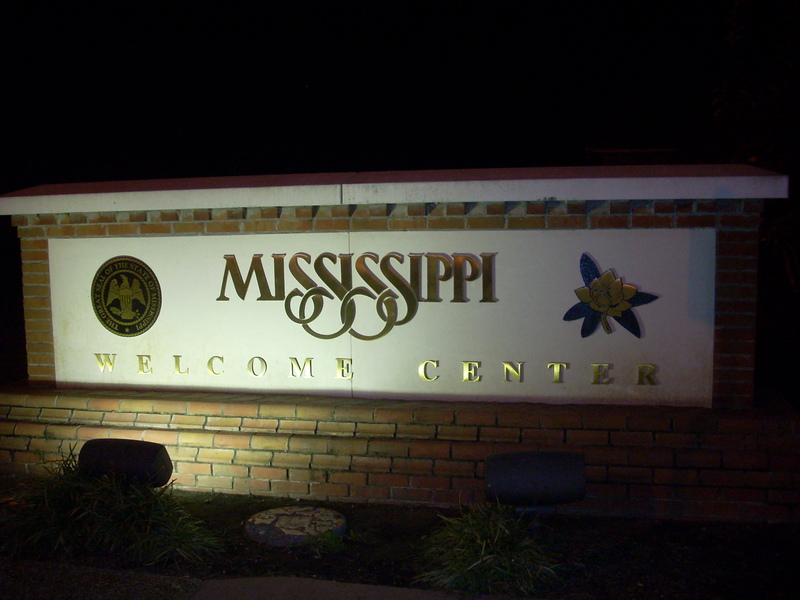 I turned in about 10 p.m. at Hattiesburg, MS. I drove the remaining four hours to Lafayette, LA, on Wednesday, arriving with 10 minutes to spare at the studios of KRVS radio on the campus of the University of Louisiana at Lafayette. Here is a photo essay about my trip south. With the pace I’ve been keeping lately, it has been challenging to keep up with this blog. I’d like to quickly catch up my last few days in upstate New York lest I fall too far behind. Hmmm, seems I left off with the wonderful yodeling workshop at Bernunzio’s Uptown Music in Rochester last Wednesday night. 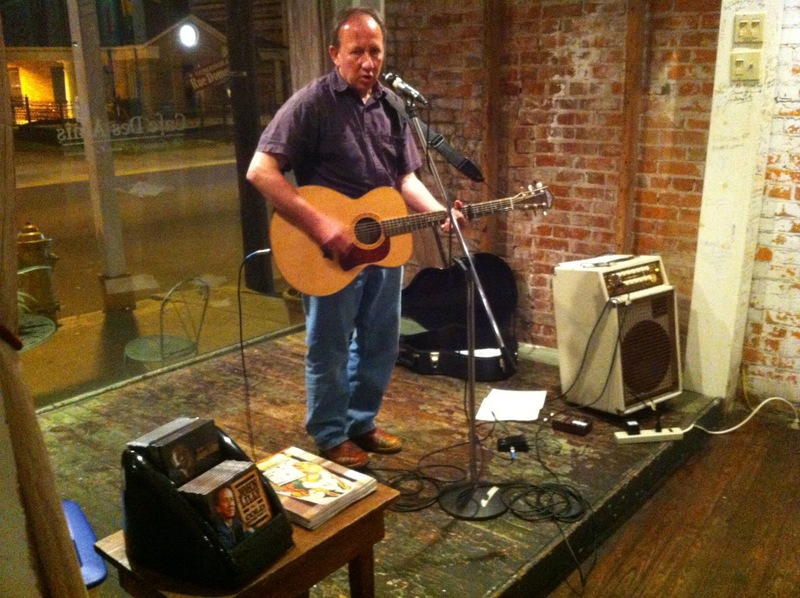 Thursday I played at the Abilene Bar and Lounge in Rochester. It is a friendly neighborhood-style bar with an amazing calendar of musicians. 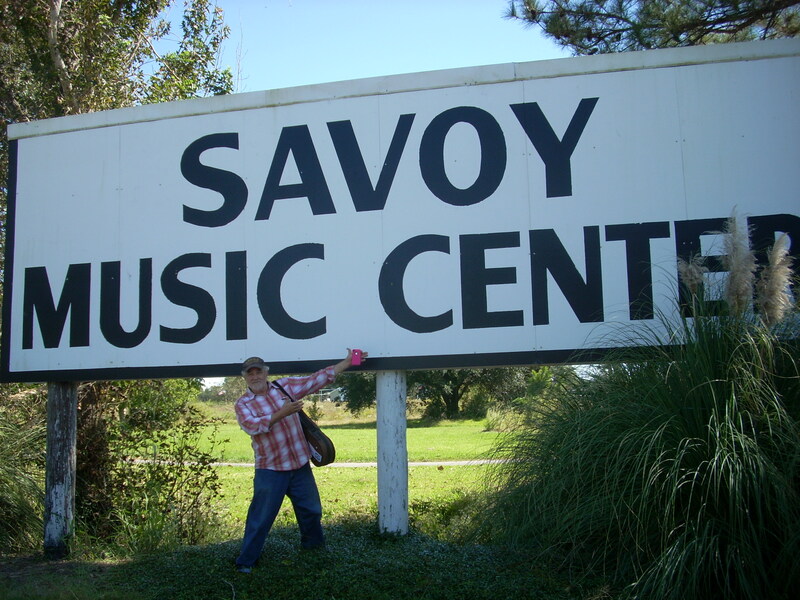 I was pleased to play there! Had a decent turnout, including Ray Baumler from WRUR radio. I played an upbeat set of what I figured was “bar” music. Went fairly well. Friday I drove to Buffalo for my gig at the Sportsmens Tavern. As you might recall, I had made the trip to Buffalo from Syracuse the previous Monday in order to rehearse with the Stone Country Band. 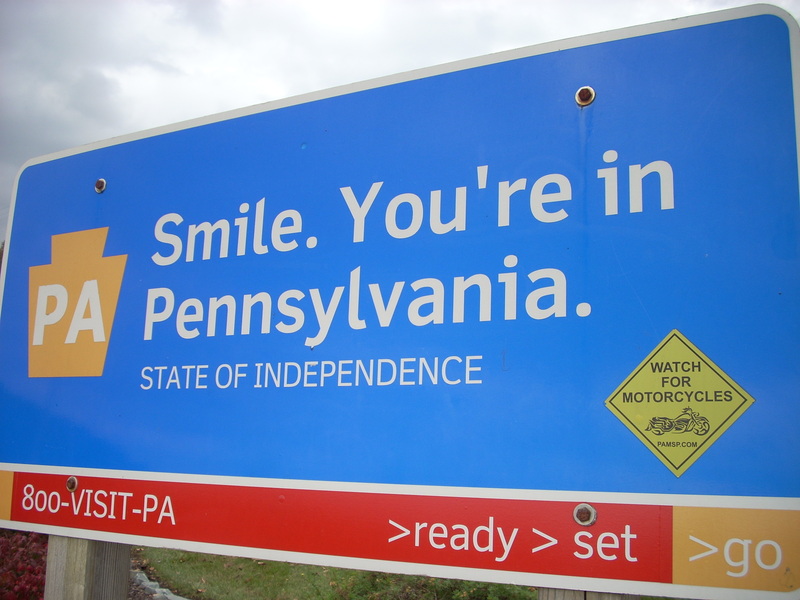 I saw a lot of Interstate this week! 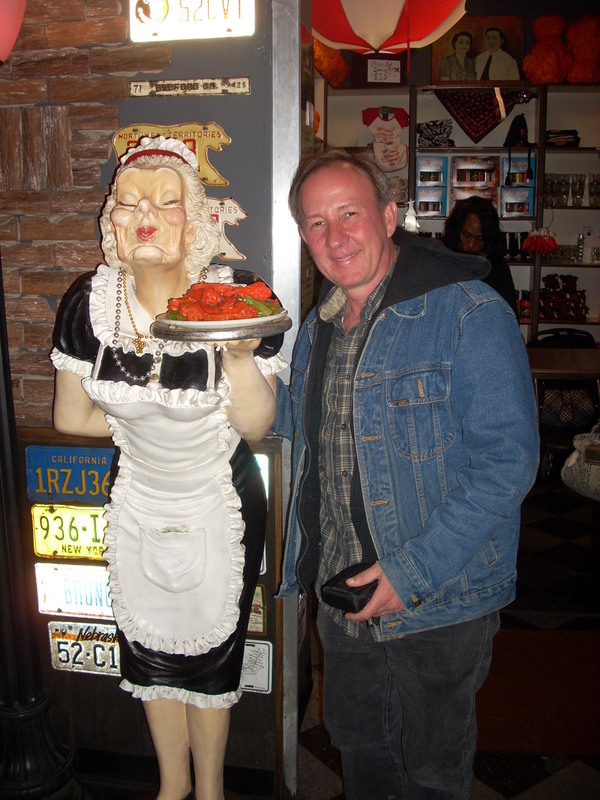 Back in Buffalo on Friday, I met guitarist/singer Carl Eddy at the world famous Anchor Bar – the birthplace of Buffalo Hot Wings. It was cool to eat wings where the wings began, though I must admit the Anchor Bar’s wings were nothing special. Tasted like they had fried up a huge batch earlier in the evening and were still working their way down the pile. Not bad, plus great atmosphere. The evening at the Sportsmens was a musical highlight of the trip. As most of you know, my new Cold Comfort CD features some great musicians and a full-band sound. This night in Buffalo was my chance to play that music the way it is intended to be heard – with a stage full of accomplished musicians and singers. And the Stone Country Band are exactly that. The three-hour show went great! The band opened with a few numbers then “vamped” me up. I loved that part! They did a stellar job on all 16 original songs, as well as covers of several country classics. There was a nice crowd of enthusiastic listeners. What a memorable night! 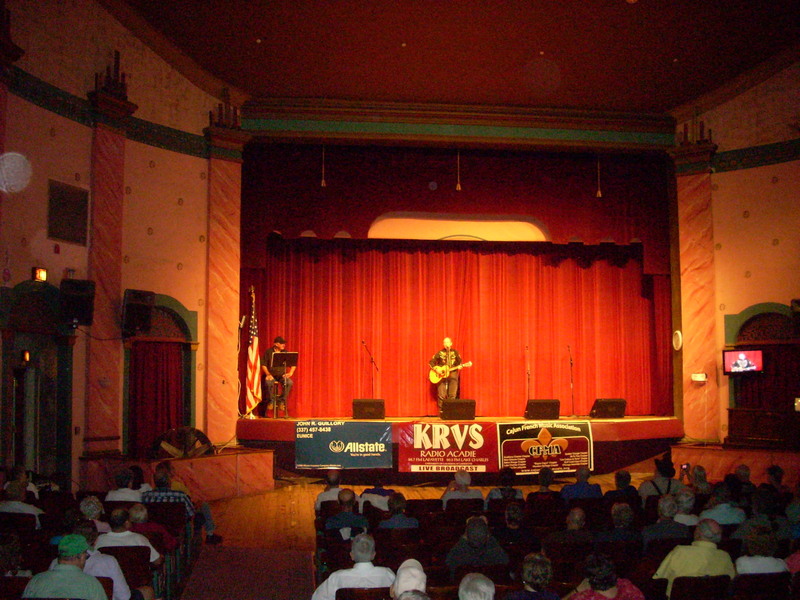 Saturday I drove back to Syracuse and did my show at the Westcott Community Center. The center is in an old firehouse. The audience was small, but they seemed to enjoy the show. Hats off to Larry Hoyt for his efforts and generous hospitality. 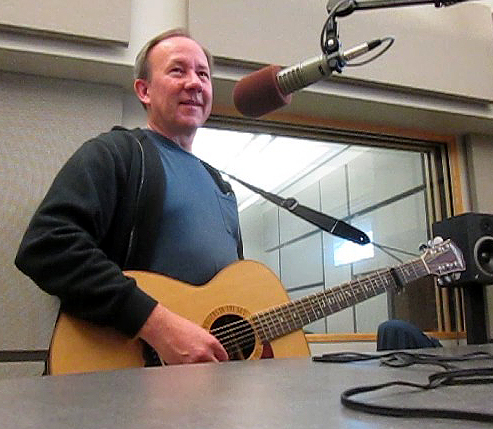 I stopped by Larry’s radio show Sunday morning at WAER radio on the Syracuse University campus and sang a few songs on my way out of town. I drove on to Ithaca where I played at Felicia’s Atomic Cafe. This is a unique little place, specializing in exotic liquors – pear infused vodka, etc. A nice crowd showed up to hear me, though I must admit to some disappointment that only one of my Ithaca friends made it out on Sunday night. I was glad to see George Mann, however, and appreciated him taking me home and feeding me. George is a labor activist and a fine musician and singer in his own right. Here’s to you, George! New York Is a Big State! Sunday, October 7, was a busy day. I arose at about 5:30 and left Manhattan around 6:30. I arrived at my cousin’s house about 8. Holly fried me up a nice breakfast, and we enjoyed one last visit before I shoved off around 9 a.m., headed for Auburn, NY. My concert was scheduled to begin at 4, but I had agreed to drop by Syracuse and pick up my host and opening act, Larry Hoyt. 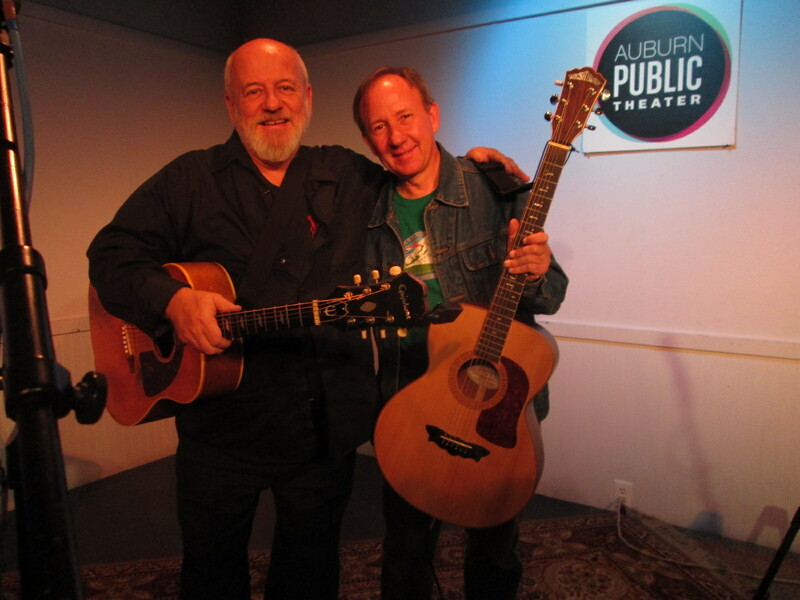 Larry and I continued on to Auburn and arrived at the Auburn Pubic Theater at 3 – right on time! The Auburn Public Theater is part of an ongoing effort to bring arts and culture to downtown Auburn, and they are making a gallant effort. Our afternoon concert was well-received by another small but appreciative audience. A pleasant surprise was the unexpected presence of my friends from Elkins, WV, Mary and Glen Smakula. I also enjoyed the opening set by Larry. Larry, Mary and Glen joined me for a nice dinner of Italian food across the street at a place called Bambino’s. 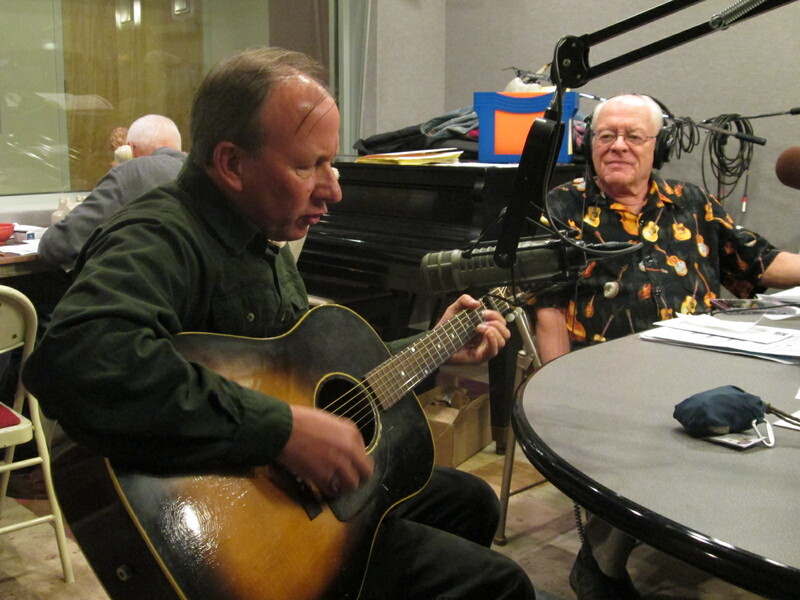 Afterwards, Larry and I drove to the studios of WCNY radio where I was a guest on Bill Knowlton’s radio show, Bluegrass Ramble. Bill has been on the air with this program for 40 years, and he has a large and loyal audience. It was fund-raising season, so volunteers manned the phones while I sang a couple of songs. We drove back to Larry’s house following the radio show. I stayed up till midnight watching a few innings of the American League playoff game between the Yankees and Orioles. The Yankees broke it open with five in the ninth. It felt good to finally lie down and get some rest! Monday I drove to Buffalo – 440 miles from New York City. You know, New York is a big state! 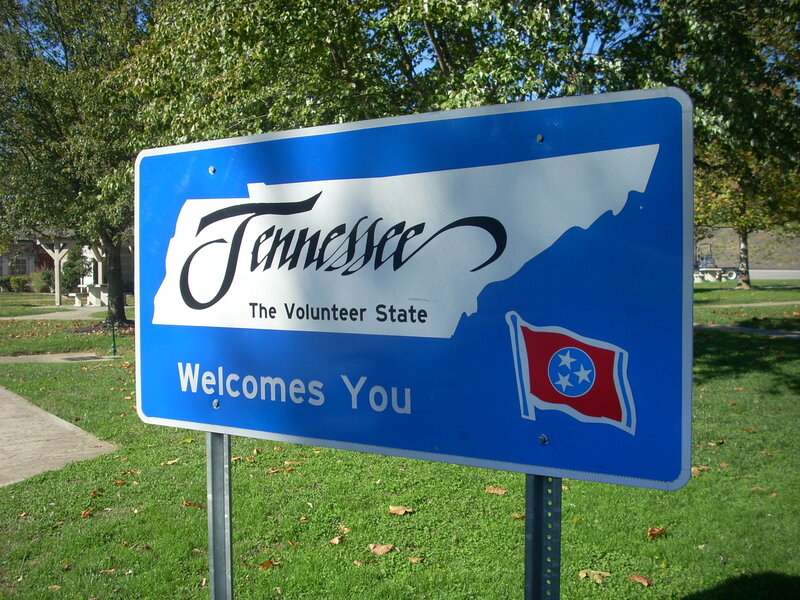 It’s a beautiful state, too, especially this time of year. 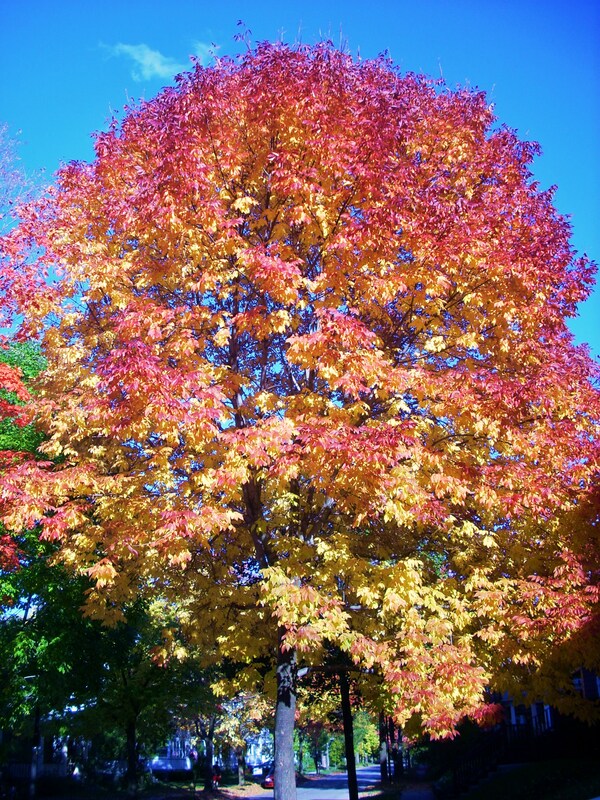 Pictures don’t do justice to the magnificent fall colors. I was in Buffalo to rehearse for the Friday night show at the Sportsmen’s Tavern, where I will be appearing with the Stone Country Band. I met the fellows from the band next door to the club, where owner Dwane has a small studio. The band was already familiar with my material from some disks and files I had sent ahead. We practiced for three hours without a break. They played great! I’m really looking forward to putting this on the stage! I stayed in Niagara Falls, where the rooms are cheaper. I spent some time at the falls on Tuesday before getting back on the road. 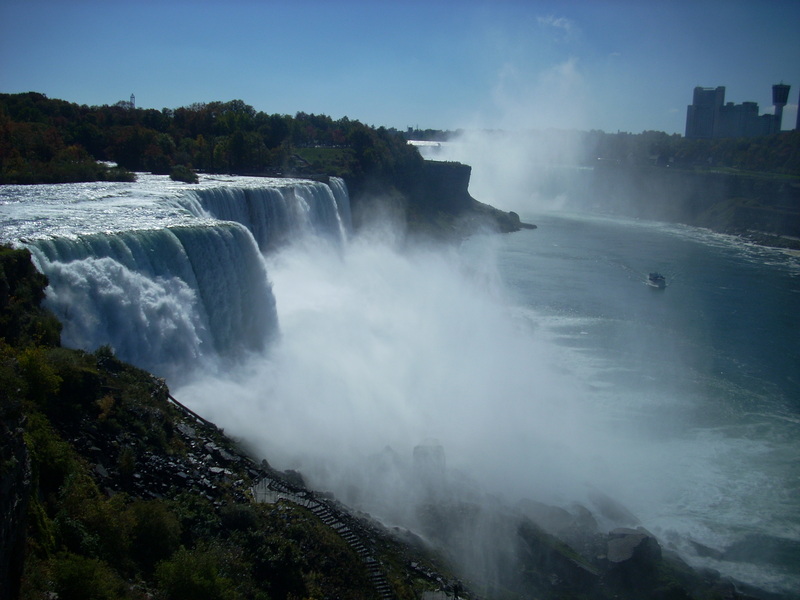 What a spectacular sight, as well as the sounds and the smells and the slight rumbling you feel near the falls! I didn’t realize that the falls are also the oldest state park in the U.S. – the things you learn out here on the highway… I took a bunch of pictures. Who could resist? I left the falls behind and drove to Rochester on Tuesday afternoon. I arrived at my friend Richard Newman’s house and stayed with him and his wife, Amy. Wonderful people! 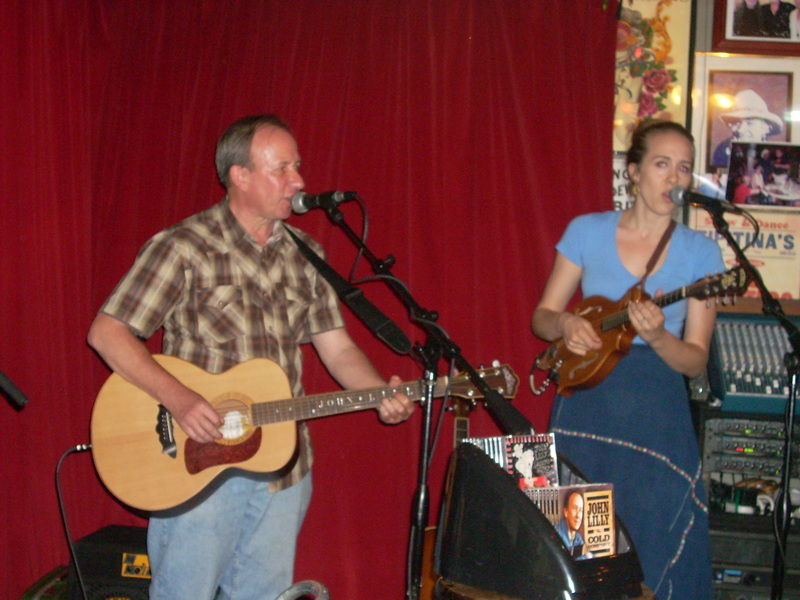 Richard is a woodworker and banjo maker, Amy is a teacher. I appreciated their hospitality. Wednesday morning I was the guest of Scott Regan on WRUR radio. We had a good visit, I sang a few songs and plugged my upcoming gigs. 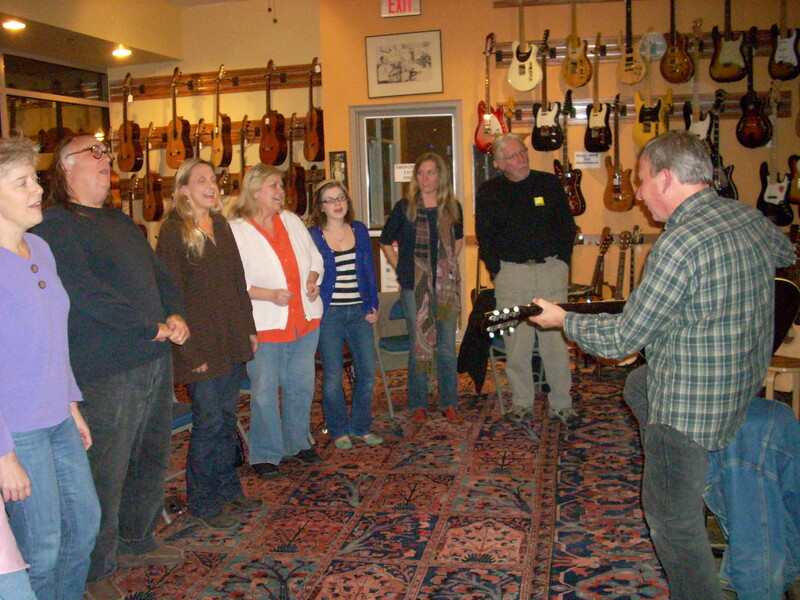 Wednesday evening I led a yodeling workshop at Bernunzio’s Uptown Music in downtown Rochester. What an amazing store! He’s got one of everything and two of everything else! I had a sterling bunch of yodelers for my workshop, and they raised the roof with their yodel-ay-ee-hooos. The next few days will be pretty full. I do a solo show tonight, Thursday, October 11 (10-11-12!) at Abilene in Rochester, have the show with the Stone Country Band in Buffalo on Friday, back to Syracuse on Saturday, Ithaca on Sunday, then an epic drive to Louisiana on Monday and Tuesday. I will blog again, but I can’t say when! I was excited to spend several days in and around NYC, even if it did require a radical change of gears on my part after having spent the past few weeks in the wilds of Alaska and western Canada. 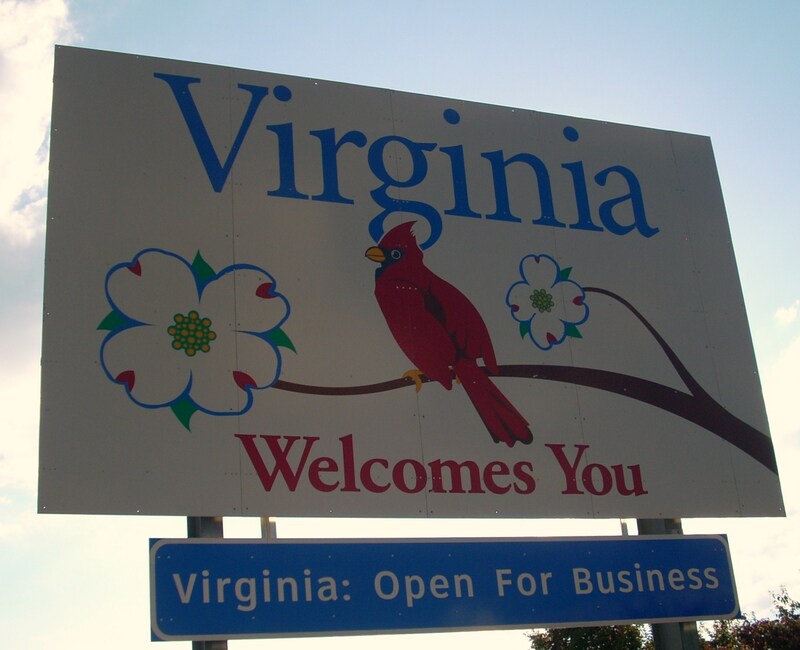 First off, there was getting there… I drove from Shepherdstown, WV, to Brooklyn on Tuesday, October 2. Sad to say, it was rainy and foggy the entire way. 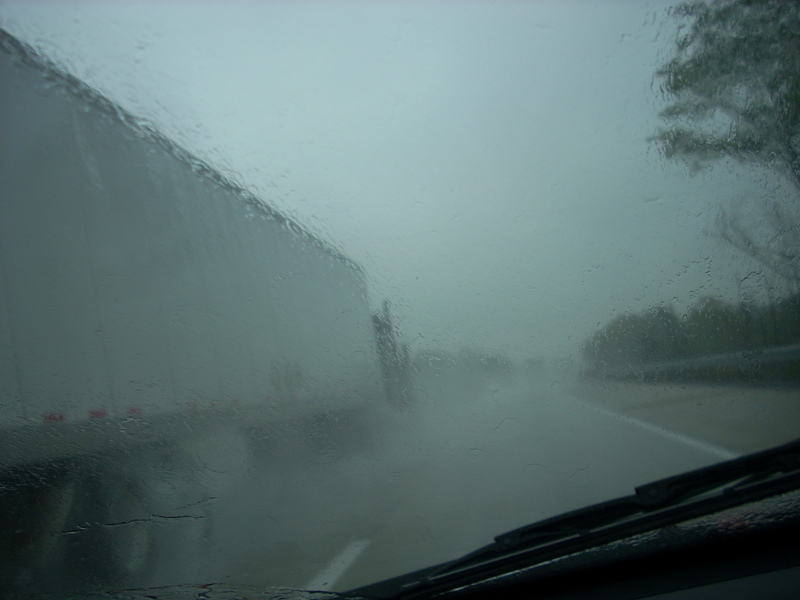 I fought limited visibility, standing water and speeding trucks for the better part of seven hours. Whew! I had a challenging time finding my way once I arrived in the city, but eventually got myself to the Jalopy Theater in Brooklyn. It is a friendly place, and students gathered for music and dance lessons before my show. Kristen Andreason was teaching a clogging workshop, so I joined in for a little of that. I’m afraid my clogging chops aren’t what they used to be, but I enjoyed it anyway. My 8:30 concert was fun, though the audience was a little small. A rainy Tuesday night… I was especially glad to see my brother George. After the show I drove north a good ways to Wappingers Falls, NY, where I had arranged to stay with my cousin Holly and her husband Dave Bargeron. I arrived at 2 a.m., and Dave was waiting up for me. He is a very talented and accomplished trombone/tuba/bass player, and he works late at one of the Broadway shows in Manhattan – Chicago – so he generally stays up late. I enjoyed visiting with him. He has lots of varied interests and loves to talk! Wednesday, October 3, I took the train into Manhattan in order to rehearse for the Saturday night concert with a violinist/singer named Tania Elizabeth. She had been recommended by Kathryn, the hostess for the Saturday night concert. Tania met me at Kathryn’s house, and we had a productive session. She is very talented and a quick study – I threw a lot of material at her and she never blinked. I met George for supper at the Oyster Bar at Grand Central Station (fancy!) then caught the train back up to Wappingers Falls. After my frustrations in navigation on Tuesday, I took the plunge on Thursday and bought a GPS. What a difference that makes! I go wherever she tells me. The GPS came in very handy on Friday, as I drove back down to Manhattan to pick up my old buddy Richie Reinholdt. He and I had met in the Live Wire Choir band in 1978, and he happened to be visiting NYC from his home in Montana. He agreed to join me at my Friday evening “bluegrass happy hour” gig at the Millbrook R&B Bar in Millbrook, NY, but I had to go get him and deliver him back to Manhattan afterwards – about eight hours of driving! A pleasant surprise was the addition of bass player Mark Murphy – another old friend who agreed to come out and play. It turned out to be a great, spontaneous session. I dubbed the impromptu band “John Lilly & the Poughkeepsie Three.” We played a great set of music for a small but appreciative crowd. 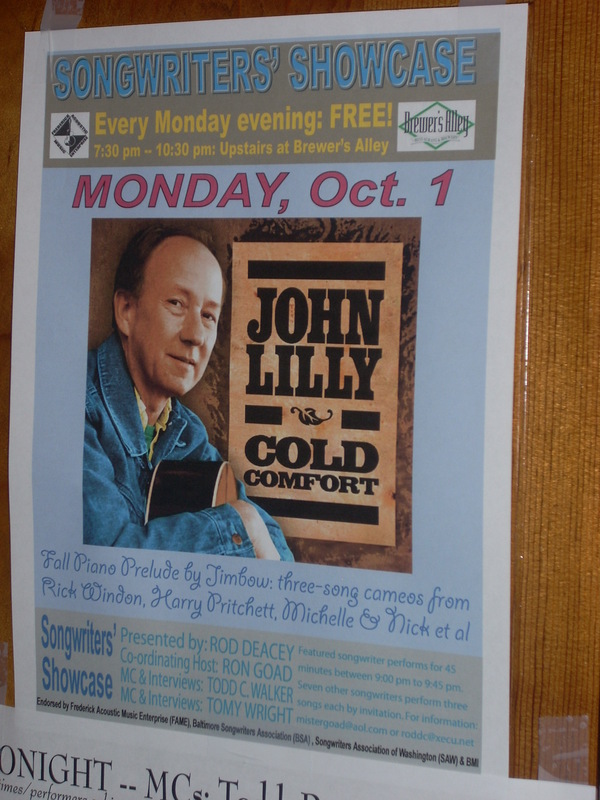 Saturday, October 6, I drove back into Manhattan for the house concert. Following the rehearsal with Tania on Wednesday, I was very much looking forward to the concert. I was not disappointed! 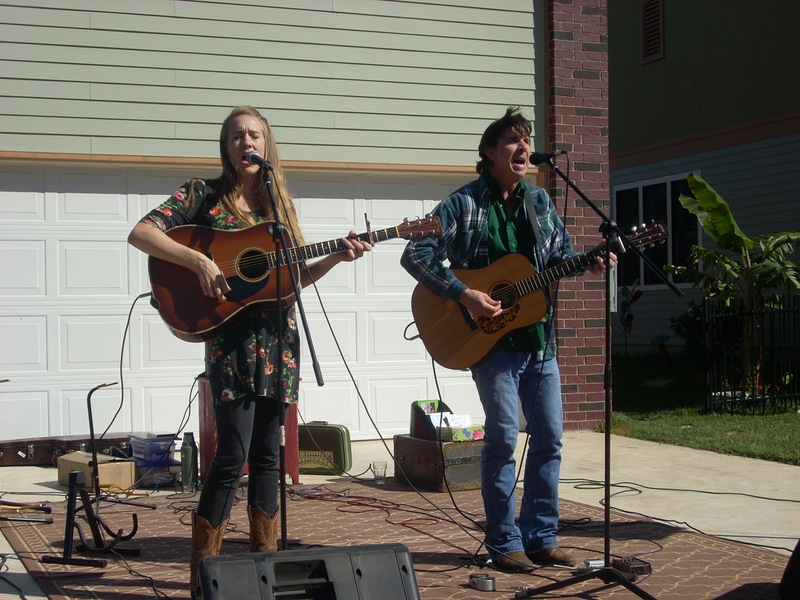 Kathyrn has a gorgeous apartment, and an ideal venue for acoustic music concerts. About 30 people showed up, which felt like a good crowd. Tania and I had a very good night of music. Her instrumental and vocal contributions were right on the money, and we struck a good rapport together and with the audience. I would love to play with her again! Alaska, British Columbia and Saskatchewan faded like a pleasant dream as I took the red-eye from Anchorage back home to West Virginia on Sunday/Monday, September 23/24. I forgot how brutal those all-night flights could be. Every seat was taken on every plane, though the flights went smoothly and were on time. I arrived back home in Charleston about 9:45 Monday morning. Then I slept! I was overwhelmed with e-mails and to-do lists for the next three days as I prepared for the remainder of the tour. One highlight of the week was celebrating my wife Cathy’s birthday on Thursday, September 27. Friday, September 28, I embarked on the remaining five weeks of my gigantic tour. 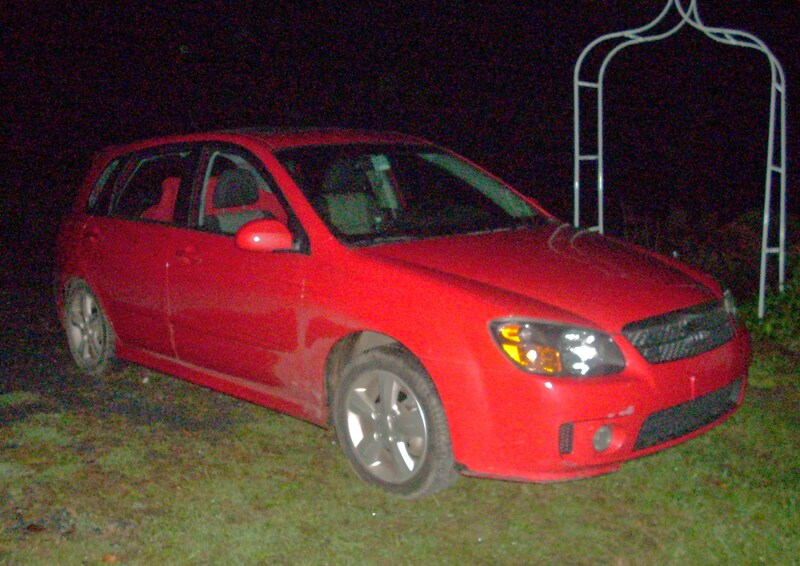 Instead of airplanes and ferry boats, I will be traveling in my 2009 KIA Spectra 5, loading to the max with CDs, luggage, instruments and gear. It beats walking, and it takes me where I want to go (as the song says)! First stop was Shepherd University for the 17th annual Appalachian Heritage Festival. I’ve been involved with this event for 15 years, give or take, and I always look forward to it. I serve as emcee, always perform in the evening concerts, and participate in the Saturday workshops. 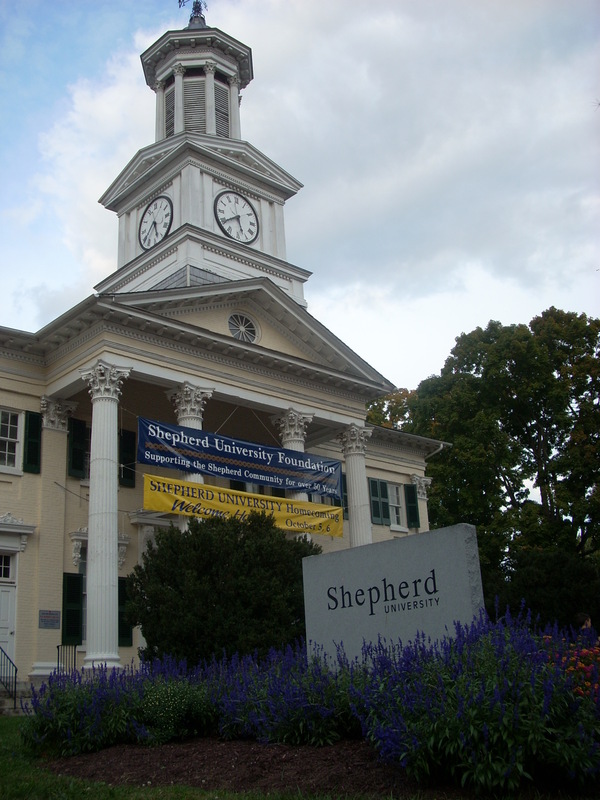 Shepherdstown is the oldest city in West Virginia, and I enjoy my time here. 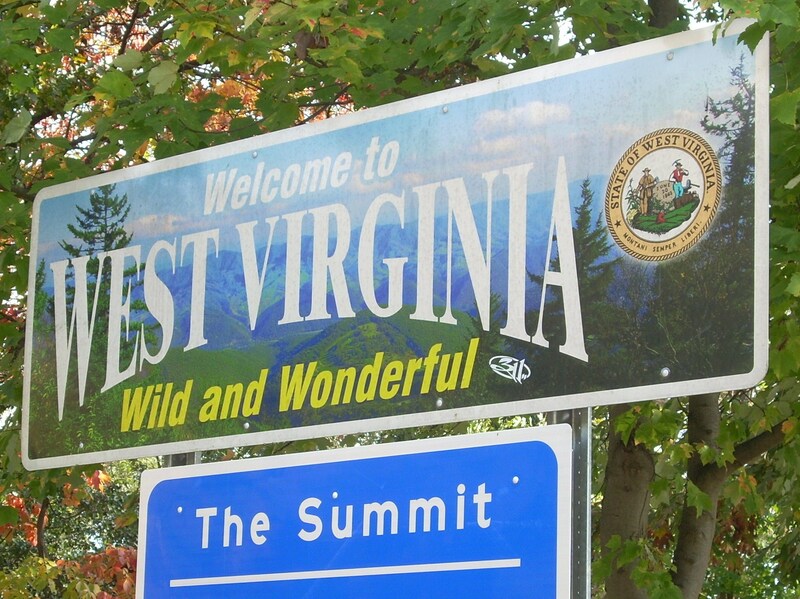 The Eastern Panhandle is especially beautiful this time of year. The Friday night concert included banjo/fiddle player Adam Hurt and The Fox Hunt – one of my favorite young old-time string bands. I got out and did a little flatfoot dance to their music. 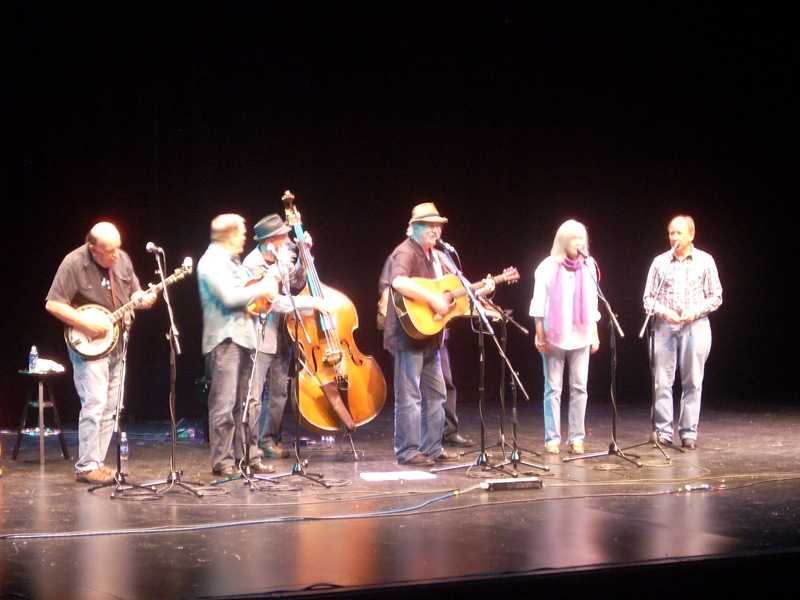 On Saturday night I did a 20-minute set, followed by the great bluegrass band Seldom Scene I was honored to sing Hazel Dickens’ song “West Virginia, My Home” along with the Seldom Scene and vocalist Sally Love. What a thrill! From the left are Ben Eldridge. Lou Reid, bassist Ronnie Simpkins, Dudley Connell, Fred Travers (hidden), Sally Love and me. After-hours I joined up with The Fox Hunt at the Blue Moon and played with them on stage until 2 a.m. 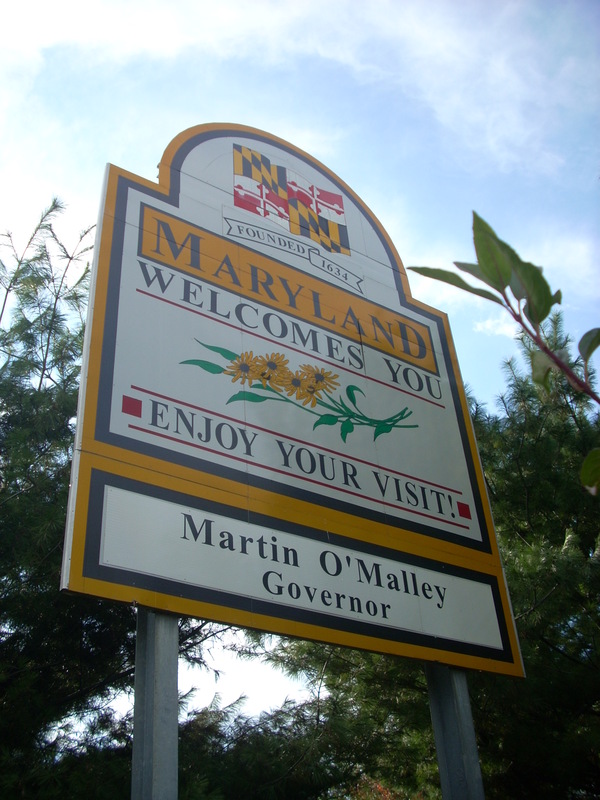 They are young and energetic and have a rabid following in Shepherdstown – their home turf. It was exhilarating to be part of that frenzy. 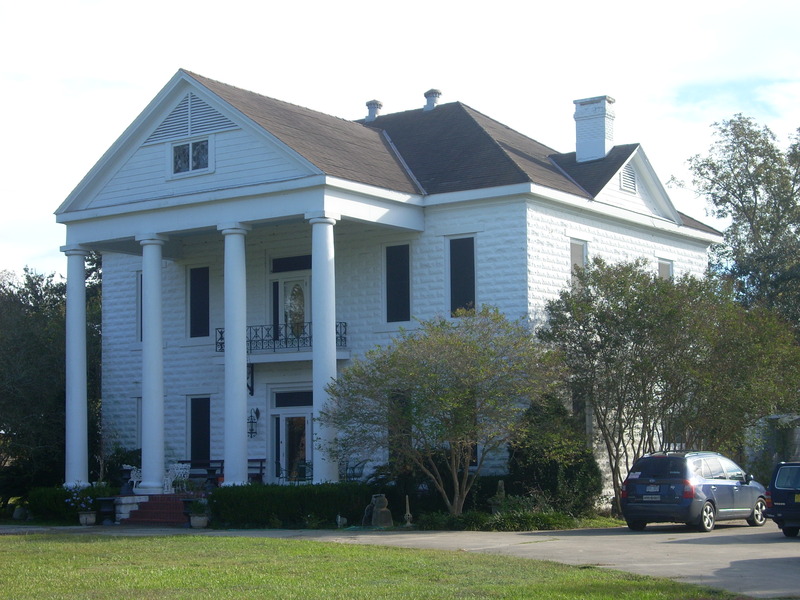 Sunday I drove out to Ben Townsend’s farmhouse, located in the country outside of Hedgesville. Ben plays in The Fox Hunt. 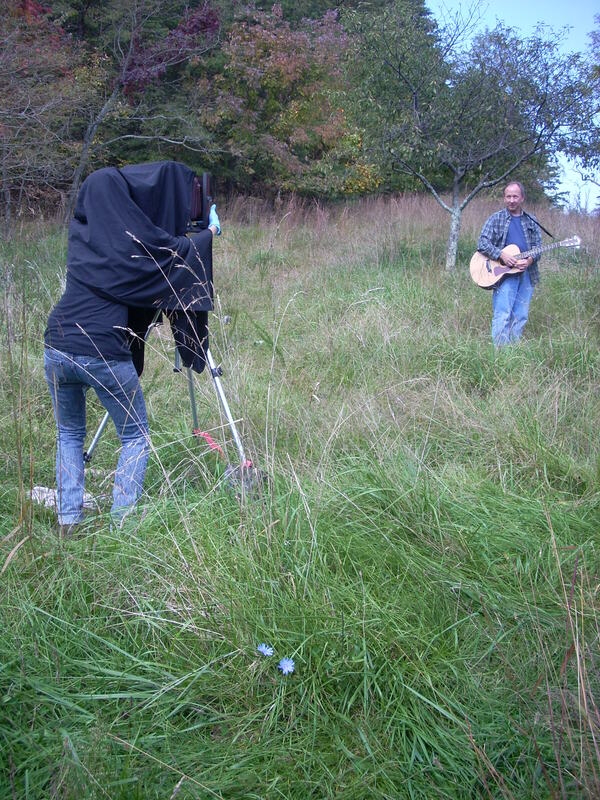 Also staying at Ben’s place was Lisa Elmaleh, a photographer from New York who is traveling around Appalachia taking tin-type photographs of roots musicians. Lisa has a mobile darkroom in her pick-up truck and an old-fashioned box camera to do this work. She wanted to take my picture. The exposure was four seconds long! Tomorrow I aim for New York. Wish me luck in the big city!